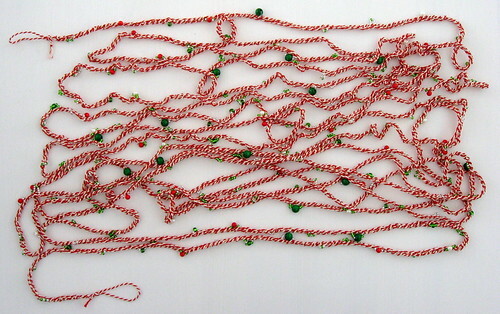 Just in time for tree-decorating on the solstice, I finished beading my candy cane garland yesterday morning. This year's tree is almost entirely decorated with things made by me. 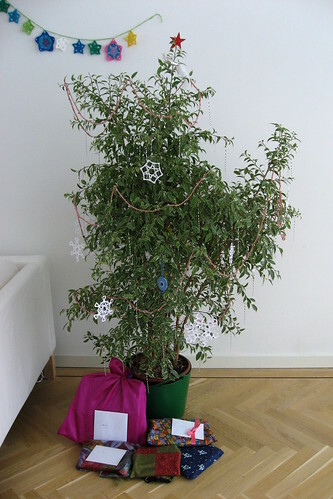 I have a couple more little decorations to finish and add, but this is what our Festive Ficus looked like yesterday afternoon.